Comic book and toy fans in the Philadelphia area have grown to love the yearly Wizard World Philadelphia convention. Now, Wizard World Philadelphia is teaming up with another Philly convention staple, VGXPO, to form an even bigger, and more expansive experience. New York, NY (March 17th, 2009) – Since its debut over a decade ago, Wizard World Philadelphia has grown to become one of the largest and most successful comic and pop-culture conventions in the country. Likewise, Video Game Expo (VGXPO), the largest East Coast expo of its kind, has seen significant growth since it inception in 2005, seeing over 24,000 attendees in 2008. To grow each event, and expand the reach of these expos, Wizard Entertainment announced today a strategic partnership that will provide cross-content, and cross-sponsorships, between VGXPO and Wizard Entertainment’s Wizard World Philadelphia event. 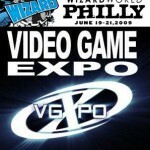 Recent exhibitors at Video Game Expo include NBC Universal, Sony, Konami, Comcast, DELL Computer, Dig Philly, Game Stop, Intel, Panasonic, Sci Fi Channel, Verizon Fios, GameJOBS.com, MTV’s and EA’s Rock Band, NVIDIA, Philips amBX and Subaru. By partnering with Video Game Expo, Wizard World will provide its fans with a multitude of cutting-edge content never before seen at a Wizard World show. The addition of Video Game Expo to Wizard’s lineup will add tens of thousands of square feet to the convention’s floor space, ensuring that this year’s show will be bigger than ever! Added content will include: VGXPO exhibitors; gaming contests at the Great American Video Game Tournament; Retro Con – a retail section dedicated to classic and pre-owned games; the VGXPO Arcade Gaming Center; and Breaking In, a single track conference dedicated to teaching would-be game makers about jobs, and educational opportunities, in the video game industry. In addition, Wizard Entertainment will lend content to the Video Game Expo event on October 9-11, at the Pennsylvania Convention Center. Keep up to date with all the exhilarating announcements about Wizard World Philadelphia and Chicago Comic-Con by checking out wizardworld.com. i was at VGXPO last year, it was blah. I do think that them getting a touch of WW will go a long way but I already have plans to be at the Baltimore Comic Con that weekend. 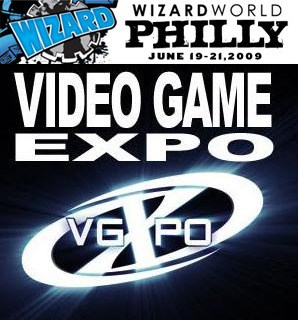 I am interested to see what VGXPO lends to WW Philly though. I've noticed Philly having alot of extra floor space each year, so it'll be nice to see the show beefed-up a bit.